A product of the "golden age of rock music", Pamela Goecke Dinndorf brings bold style and vivid color into the vibrantly striped quilts of her second book, Parallel Lines. Parallel Lines details the use and potential of striped fabrics in quilting. This book offers twelve projects, ranging from beginners to intermediate-advanced level. Some of these are fussy cut, and some require paper piecing. The techniques for paper piecing and fussy cutting are not explained 'in the book, but there are several YouTube videos and resources available, like this one for Paper Piecing and this one explaining Fussy Cutting. The stripes in Dinndorf’s quilts create an impact through high contrast colors as well as through various types of stripes used in one quilt. Styles of stripes used include yarn dyed, printed and “faux” stripes. Each of the quilts in the book is named after a rock song that hails back to memorable times for the author, and they present fascinating contrasts of order and chaos, energy and calm. All twelve of the projects in this book are striking, although it’s difficult to say whether or not they would be as captivating with the use of different fabrics than those used by Dinndorf. Their appeal truly comes through the color choices of a talented artist as well as with the effect that the stripes can create. A unique aspect of this book is its explanation of how to use stripes to create a three-dimensional effect as is so creatively portrayed in its quilts. We are giving away a copy of this wonderful and inspiring book! 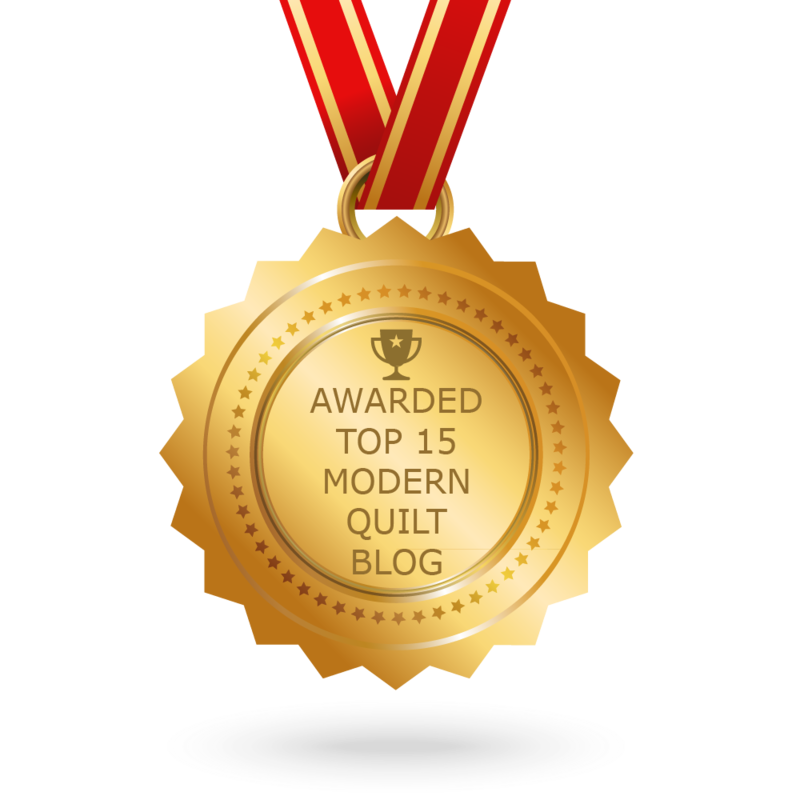 To enter our giveaway leave a comment on this post with your vote for your favorite quilt from the book and your email address. Giveaway closes on Sunday, 24th of March. The book is available in English and French and you can buy your copy here at Quiltmania. If you love modern, stunning, colorful quilts and graphic effects this book is a must-have. Its bold creativity and unique portrayal of style may inspire you to venture out into new directions and expressions of color and contrast in your future projects.